Two recent notable judgments; mutually exclusive of each other; deal with ‘Right of privacy’ extensively and interestingly differ in construing it in Indian constitutional jurisprudence. Chronologically, the Bombay High Court in Shaikh Zahid Mukhtar v State of Maharastra (Beef Ban judgment) held Section 5D of the Maharashtra Animal Preservation Act, 1976 as ultra vires the Right of Privacy. And 2 days back, the Patna High Court in Confederation of Indian Alcoholic Beverages v State of Bihar(Bihar liquor ban judgment) quashed Section 19(4) of the Bihar Excise Act, 1915 and the fresh notification injecting absolute prohibition on alcohol in the State with difference of opinion in construing Right of Privacy to include right to consume alcohol. Moving anticlockwise, the Bihar liquor ban judgment is authored by a Division Bench; while Justice Navniti Prasad Singh held in Para 88.15 that right to decide as to what to eat and drink comes within the confines of Right of Privacy under Article 21 of the Constitution, Justice Ansari in Para 1 and Para 62 raised two different questions as to right to privacy and answered both in negative. Justice Ansari in Para 1 framed a question – “Whether the right to consume alcohol is a fundamental right and any infringement or intrusion into the said right, by means of legislation or otherwise, would amount to violation of the right to privacy and, therefore, constitutionally untenable?” In Para 62, however, he re-framed and narrowed down the question to “Whether one’s desire to consume alcohol is a fundamental right?”In Para 67, he took a view that when trading in liquor is not permitted or prohibited, demand to permit consumption of alcohol cannot be treated as a fundamental right. In my submission, Justice Ansari has extended the limits of right to privacy to desires of an individual. In Para 39 Justice Ansari wrote –“If it is made in the manner, as has been done in the present case, the endeavour may not survive the test of constitutionality; but if it is done in accordance with law and the constitutional scheme of governance, one cannot be heard to say that his fundamental rights are violated.” He further laid down in Para 68 that consumption of alcohol by a person can never be regarded as his fundamental right nor can it be said that the right to consume alcohol can be merely regulated and not prohibited. I find it extremely difficult to read these 4 paragraphs in consonance with each other. The 2 questions do overlap, but operate on an entirely different footing. The 2 answers given do not support the reasoning given as to using a Directive Principle (Article 47) as a controlling measure on firstly, an individual’s desire of consumption and secondly, actual consumption by an individual. Justice Singh, on the contrary, in Para 88.15 held a diametrically opposite view which climbs up to an extent of recording that “If the state starts dictating a citizen what to drink or what not to drink, though the same is not per se injurious to health, it would be a direct intrusion on personal liberty affecting meaningful life. It would be violation of personal liberty guaranteed by the Constitution.”It is very important to note here, the wide ambit of liquor consumption and desire of liquor consumption. In my view, these two work on an entirely different footing which the judgments miss. 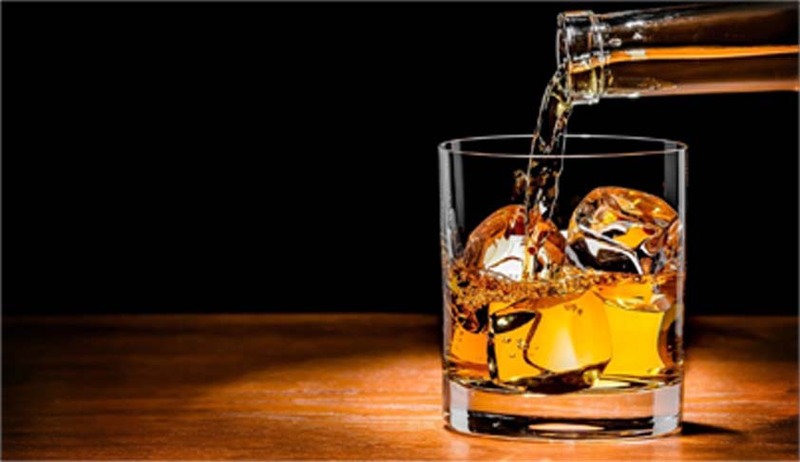 Liquor consumption draws its existence from Article 21 and can be regulated by state, if not prohibited completely per se so as to curb the menace of alcohol abuse and to achieve the goal of Article 47. The desire of liquor consumption, on the other hand cannot and must not be regulated by the State. State cannot, and I repeat, cannot control individual autonomy and more so decisional autonomy of an individual to desire, with or without the absence of any harm causing element. This is the primary facet of the Right of Privacy; doing away with which the right itself never gets generated in the first place. Justice Singh however also makes an error when to illustrate unreasonableness of prohibition, he quoted an example of a person born and brought to Bombay or Delhi, educated there and serving there and calculates ‘consumption of liquor to him is a part of his life and part of his relaxation, he is accustomed to it’ that he would avoid moving to Bihar because he would have to give up his life style. Justice Singh, therefore here connects Right of Privacy to the Right of Movement enshrined under Article 19 of the Constitution. Further, in Para 88.12 Justice Singh noted that such prohibition was an unreasonable restriction and violated all three – Articles 14, 19 and 21. In Para 88.13, Justice Singh again drew an analogy between right of movement and right of privacy, which again in my view was totally uncalled for and is not proper. The Bombay Hgh Court in the Beef Ban judgment; again through two separate opinions joining hands but differinng in opinions by Justices Oka and Gupte. The argument put forward in this case was that sections 5D and 9A were ultravires the Constitution of India, being violative of the right to privacy included in the right to life guaranteed by the Article 21 which includes the right to choose what a citizen may eat/comsume. Section 5D mandated that no person shall have in his possessiion flesh of any cow, bull or bullock slaughtered outside the State of Maharashtra. Pertinent to note that Section 5D also touched the right of movement. Section 9A held that whoever contravened the provision of Sections 5C, 5D or 6 shall, on conviction be punished with imprisonment for a term which may extend to one year or fine which may extend to two thousand rupees. The Bombay High Court held two different and compromising conceptions of privacy. Firstly, that the State cannot intrude into an individual’s home to chech his dietary organization and a citizen has a right to lead a meaningul life within his house. Concurrently, state cannot invade in an individual’s space in its anxiety to discover f he was eating beef. Secondly, what one ears is one’s personal affair, and comes unter the purview of right to privacy. Interestingly, in the case of K.S. Puttaswami (retd.) and Others v. Union of India, the Apex Court was dealing with the challenge to the Aadhar Card scheme under which the Government of India was collecting and compiling both the demograohic and biometric data of the citizens. It made a prima facie observation that the decision of the Constitution Bench in the case of Kharal Singh had not been correctly read by smaller Benches and, therefore, a rederence was made to a larger Bench to decide the question as to whether the right of orivacy is guaranteed by Article 21 of the Constitution of India. Since then atleast in 8 cases, the Aoex Court upheld the right of privacy as part of personal liberty guaranteed under Article 21 of the Constitution of Indil to note R. Rajagopal v. State of Tamil Nadu; District Registrar & Collector v. Canara Bank; Re Ramlila Maidan Incident; people Union of Civil Liberties v. Union of India; Hinsa Virodhak Sangh v. Mirzapur Moti Kuresh Jamat and Orsl National Legal Services Authority v. Union of India and Ram Jethmalana v. UOI. The aforesaid seven decisions continue to hold the field notwithstanding the pending reference. Conclusively, while both judgments hold that the prohibition on beef and bottle violated the fundamental right to privacy; they both also touch the cornerstone of the freedom of movement. The reference is pending, meanwhile the privacy jurisprudence is gaining momentum and soon, like the death penalty debates and the freedom of speech debates, I am sure a lot of ink will find use in right of consumption within the sphere of right of privacy as well. Fingers crossed! PS – At the time of publishing this piece, the Govt. of Bihar has announced a new liquor ban policy and is preparing to challenge the judgment before the Supreme Court.